All kinds of delivery services need to plan their drivers in their shift plan. 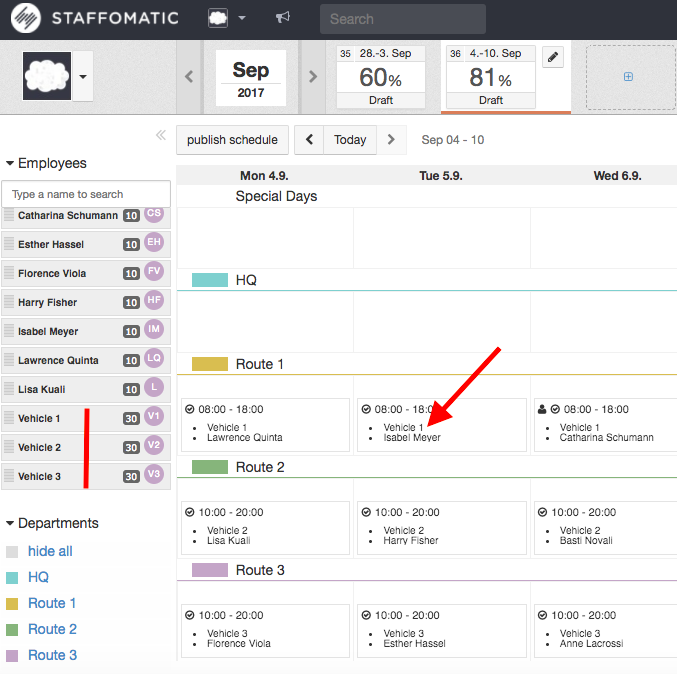 STAFFOMATIC provides two options: do you want to plan the drivers in fixed routes, go to option 1. If you want to plan drivers, routes and vehicles, go to option 2. Create the routes in the section "departments" so that they will be shown in the weekly schedule: Route 1, Route 2, Route 3. 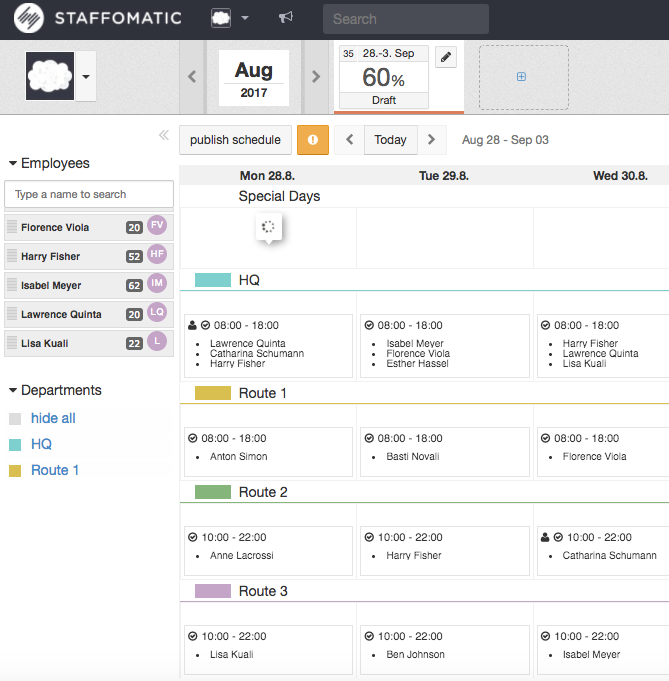 Now the employees can be assigned to the departments/routes. Drivers that only ride route 1 will accordingly only be assigned to this shift, etc. You as the admin decide what employee should work on what route.